The sun continues to shine in Bulgaria! We are currently enjoying what’s known in these parts as a gypsy summer: surprisingly warm days with striking blue skies offset by incredible autumn colours. Indeed we have been forecast an incredible 27 degrees for tomorrow, although I think that could be a tad optimistic. Still, I’m planning a load of washing in hope! 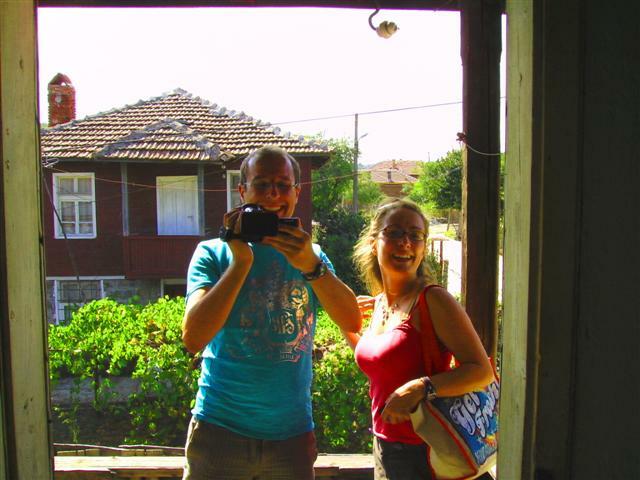 We snuck a trip to Edirne, with our good friends who live locally, to introduce them to the delights of Turkey on our doorstep. 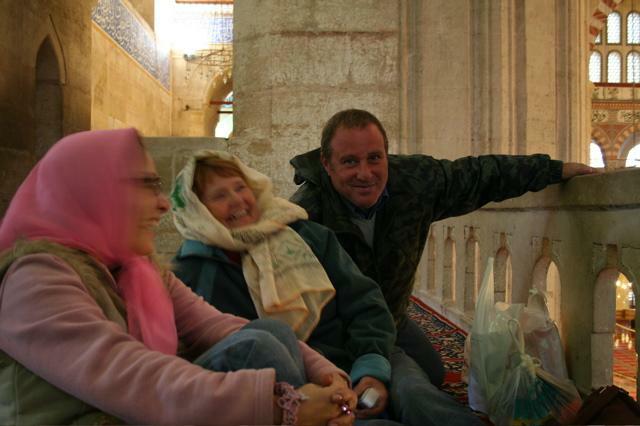 This time, as well as popping into the mosque (at prayertime – amazing), we ventured around the outskirts of the town to see the River Tundja – by the time it’s got to Turkey it is more than a little wider than it is in Yambol. 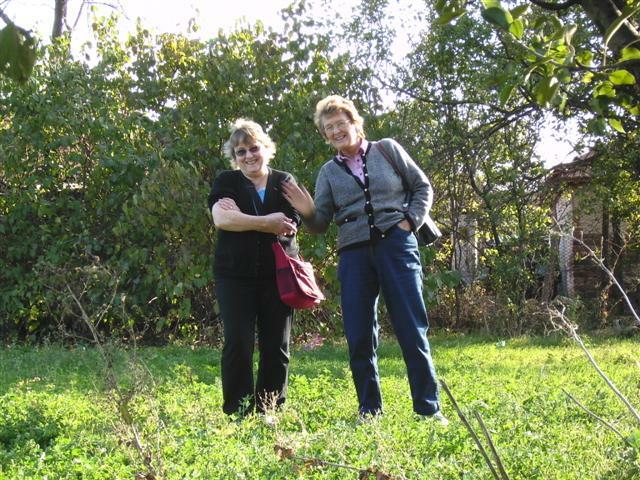 Happily, the good weather lasted for the duration of The Mothers’ visit, so they too have been able to enjoy the warmth of a late summer in Bulgaria. We (Jeremy, actually) drove over 500 miles, with our visitors cooing and giggling together in the back of the car. They shopped in Burgas, took a tour of our village house, shopped a bit more and fussed the grand-kittens in Yambol, then on the last day, we were all awestruck by the stunning autumnal scenery of the Rila Mountains. It had taken us four days to work out what elements were required to make a top day out: a bit of architecture, some history, a church and museum, stunning views, good coffee, doughnuts and souvenir shops. 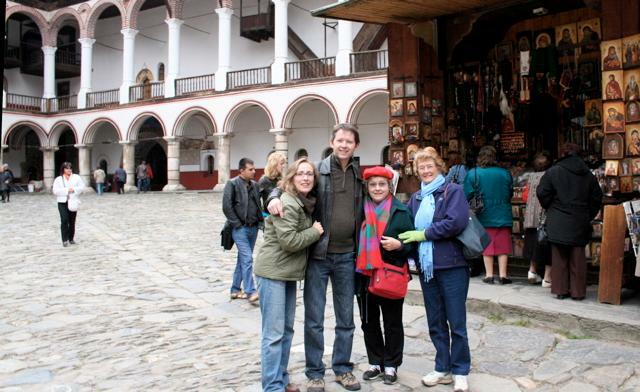 Rila Monastery, in the heart of the mountains, had the lot! We packed The Mothers off into Sofia airport on Tuesday morning, nicely topped up with pots of local honey, information on our diets and financial plans, and a fierce determination to conquer the Bulgarian postal system, which to date has been everything but reliable. A phone call has already been put into the Bulgarian Embassy in London, so do not underestimate the power of The Mothers. Watch this space. More frustrating though are the building quotes. One has already come through and it is huge! Very professionally done, but way out of our price range; we think probably geared to English clientele who don’t really know the cost of things over here. The other was promised to us within five days and that was nearly three weeks ago. I really don’t want to use the phrase ‘this is Bulgaria’ in every post, but really… don’t get me started. Anyway, we’ve sailed through our first month of marriage with no hiccups to speak of and it just so happens we’ll be able to relive the whole celebration – build up, vows, fancy dress and all – on Wedding TV this weekend! So set your videos for Happy Ever After which airs on WEDDING TV Sky Channel 266 on Saturday 1st November at 19:00, UK time. This show (Episode 22) is repeated Sunday 2nd at 9am and Thursday 6th at 10:00 and 19:00.